Boy oh boy, I have been on a major matcha tea kick as of late. I can’t seem to get enough of the delicious, earthy, grassy flavor of this amazing tea. Something about it is so soothing to my soul, and it’s definitely one of my favorite things to drink in the mornings as I kick off my day. 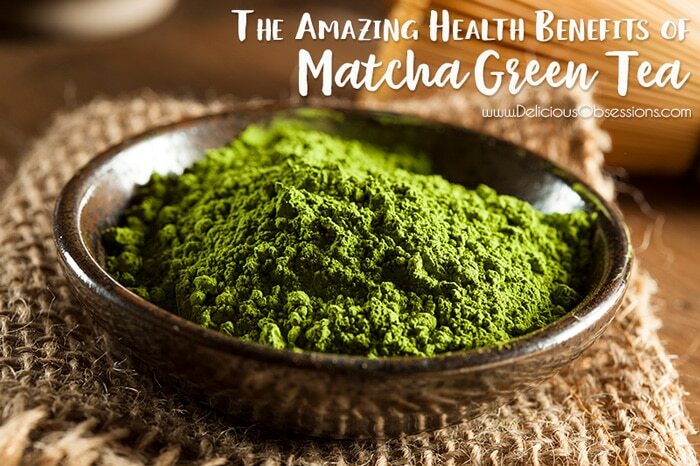 I initially started drinking matcha green tea lattes from coffee shops about 15 years ago and became hooked. Even though the matcha that is typically used in most coffee shops is not that great of quality, I still fell in love with the taste and aroma. It became a welcome addition to my days — some may say a bit of an addiction at one point in my life where stress was high and I was feeling pretty miserable with life and career (Steph, are you reading this?). I’ve always been a fan of green tea, but specifically matcha. About 9 months ago, I decided that I wanted to add a few caffeinated teas back into my diet. I missed black tea (though I have an awesome herbal “black” tea recipe that I’ll be posting soon) and matcha. I discovered that coffee is still out for me. I tried reintroducing that and was not able to tolerate it (regular or decaf). But, matcha…ahhh….yes….no problems there. Woot! Adding matcha back into my diet was a bit of a celebration for me. You see, I was totally caffeine-free for over 4 years. No coffee, no black tea, no green tea, no white tea, nothing with caffeine. 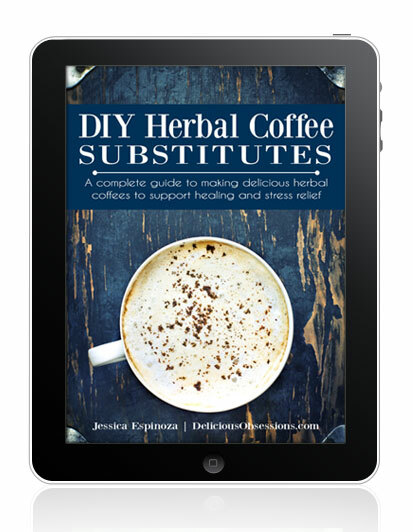 I relied heavily on my super popular herbal “coffee” blends which kept my cravings for coffee at bay and made the whole “giving up coffee for the sake of health” thing a little easier. 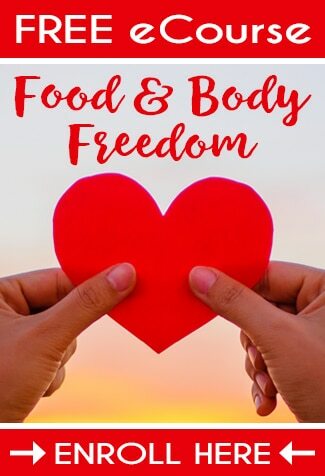 I still drink my herbal coffees several times a week and love knowing that they are supporting my health via the nourishing herbs that they are made of. That and they are frankly so delicious that I think I prefer them over coffee! Anywho, about 9 months ago, I finally felt that I had healed to a point where adding these teas back in would not cause any problems, so I slowly reintroduced black and green teas and have been doing just fine with them. I have no desire to drink them every day, but I am happy to have them back in the rotation here and there when I want them. For me, caffeine has never affected me as in giving me a buzz or energy. It’s not something I ever needed to “get going.” I used to joke that I could drink a 6-pack of Mountain Dew and go right to bed. But, caffeine was one of the things that I needed to eliminate while I focused on healing my adrenals (and other health issues) so I said goodbye to it for awhile. If you’re not familiar with the impact caffeine can have on your health, read this post. For now, let’s learn a little about matcha, its history, and its health benefits. Before its global popularity, matcha began its fascinating journey first in China and then spread to Japan through Zen Buddhism before it became the main centerpiece of Japanese tea ceremonies. Now, it has exploded onto the health scene for its variety of health benefits and has become wildly popular. Matcha comes from the plant Camellia sinensis, which is also known as the “tea plant,” “tea shrub,” or “tea tree.” In China, during the Tang Dynasty in the 7th-10th centuries, the development and cultivation of green tea started. Once the tea was harvested, they were steamed and formed into tea bricks, which were created for storage and trade. To prepare these bricks for tea consumption, the tea leaves were roasted and pulverized and then brewed with hot water and a pinch of salt would be added before drinking it. From there, the process evolved in the 10th-13th centuries during the Song Dynasty. The method involved grinding the steamed tea leaves to make a powder, and then prepare the beverage by whipping the tea powder with hot water. This method became so popular that Zen Buddhist monks started using it in their daily rituals. They saw meditational benefits from drinking the matcha before they sat in stillness. The matcha brought them sustained energy, mental clarity, the ability to become more centered and focused, and a greater sense of well-being. Because of the way these monks prepared and consumed the tea, this special green tea became known as “Matcha, the ceremonial tea of the temple high priests.” Even Shoguns, or warriors, saw the benefits of this ceremonial tea and started to drink it before going into battle, which gave them more energy and mental acuity. Eventually, this Chinese powdered tea was brought to Japan in 1191 by an influential Japanese Zen Buddhist monk, Eisai Myoan. He saw the tea as precious medicine and is famously quoted as calling it, the “elixir of the immortals.” He encouraged the Japanese people to make a habit of drinking this tea for its health benefits. In the early days, matcha was extremely precious where only the Shogun and nobility were able to drink it because it was produced in such tiny quantities due to the time-consuming process of making it. However, in 1738 Sohen Nagatani invented the “Uji” green tea method, which is still practiced and used today. It’s a much more efficient process to make matcha that is available to the masses. Nagatani wanted the common people to have access to matcha as well, so he began teaching his secret of the Uji process to the farmers, which had a huge impact on the development of the entire Uji region of Kyoto. In its early days, matcha was viewed more as a medicine and had a bitter flavor profile. However, in the 15th and 16th centuries, Japanese tea growers discovered that shading the tea plants 20-30 days before harvest created a smooth, mellow, umami-sweet taste in the tea leaves. Today, you can choose the quality of matcha, which will affect the taste, ranging from bitter to sweet. In general, the more expensive it is, the sweeter it will be, and the cheaper it is, the more bitter tasting it will be. That said, I have tried a couple cooking/culinary grade brands that have tasted great, but I also really like bitter flavors so maybe I am not noticing the bitterness the way others would. Ceremonial Grade: This is the highest quality that is used in Buddhist temples and tea ceremonies. It’s also the most expensive powder that is stone ground by granite stone mills. Inexperienced drinkers most likely won’t notice a difference between ceremonial and premium grade. Ceremonial is often characterized by subtle tones of “Umami.” The color is a vibrant green and is extremely fine texture, not gritty or coarse. The powder should smell fresh and a little grassy. It has a very delicate taste, naturally sweet, and a mild, smooth flavor. It’s best enjoyed pure and mixed only with hot water. Premium Grade: This is high-quality matcha that is best for daily consumption, like lattes and smoothies, and still contains the full range of antioxidants, vitamins, and minerals. This grade uses tea leaves from the top of the tea plant. Premium is often characterized by a fresh, subtle flavor, which is perfect for both new and everyday matcha green tea drinkers. The color is less vibrant than the ceremonial grade and it also has a fine texture that breaks up easily in water. Cooking/Culinary Grade: This is the cheapest of the three grades because it lacks all the health benefits and is more suitable for cooking purposes. These leaves are used from the lower portion of the green tea plant, therefore, it’s slightly bitter and has a more robust flavor. The color is noticeably less vibrant than the ceremonial and premium grades but it still has a green hue to it. It should also smell fresh and grassy, and feel soft and smooth. Matcha is estimated to be 10 times stronger than regular brewed green tea, so it has extremely therapeutic effects on the body. Matcha contains over 70 times the antioxidants of fresh orange juice and over 9 times the beta carotene of spinach. Matcha contains high amounts of L-Theanines, a unique set of natural amino acids. Matcha is the healthiest energy drink with basically zero calories and without any side effects that can be found in the high-sugared typical energy drinks sold in stores. You consume an entire tea leaf when you drink a matcha beverage, so you’ll get the full amount of antioxidants, amino acids, vitamins, minerals, and fiber in one drink! 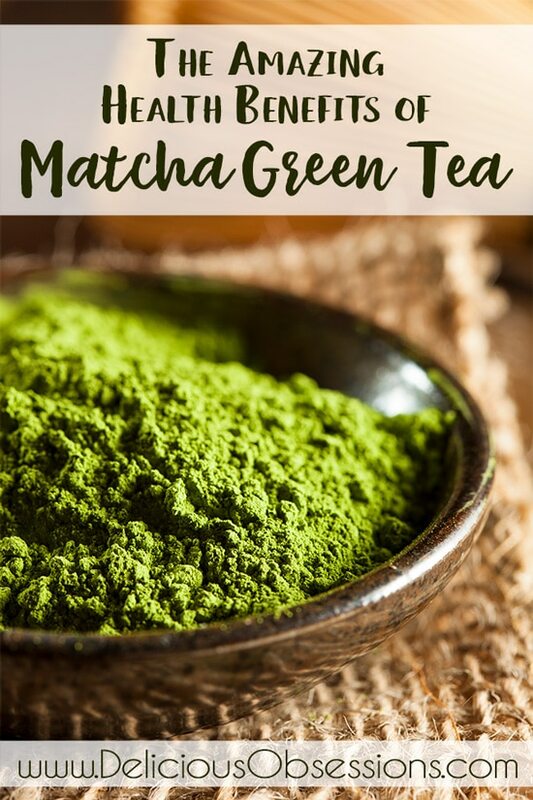 If you’re ready to give matcha a try, make sure you check out my Superfood Matcha Latte Recipe (it’s gluten, grain, dairy, and sugar free). 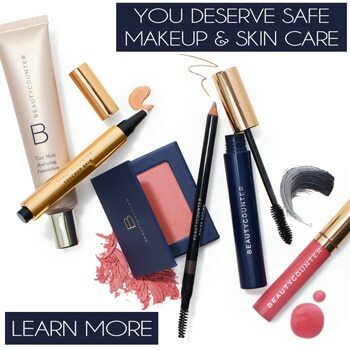 I also talk about what brands I am personally using (at the time of writing this). How can you tell if you have ceremonial or premium matcha? I don’t think the package I had said which it was. What do you buy? I like to use it in my smoothies. Thank you!